Incorporating cruelty-free, vegan products not only helps animals, but the environment as well. Here are lists of cruelty-free house, body, and make-up products and brands available. Click each image to be directed to the list! An extremely thorough list of cruelty-free products listed on all three major cruelty-free list: Leaping Bunny (international, see below), Choose Cruelty Free (Australia, see below), and PETA (North America). 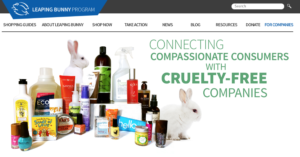 A long, internationally recognized list of cruelty-free products. A list of Australian, and international cruelty-free products. Get your house filled with cruelty-free items, from hand soap to latex, this list breaks down what you need to know and do to get your home helping animals every day! Guides and lists on cruelty-free products for various activities, home needs, and life-styles. From camping to pet food, and meal prep to hair brushes, this site has a variety of product details and information to make helping animals a part of your every day routine! Learn make-up tricks from cruelty-free YouTubers who use cruelty-free products! A list of books, pamphlets, and guides on food justice, philosophy, children and more.